Really wish there were more than 5 stars. I am so beyond amazed with MillyBridal. I have had this dress in my favorites on MillyBridal for quite some time now..looking at local bridal shops to see if I could find something similar..but I refused to settle and decided to give it a shot. They turned out so beautifully..amazing quality and they fit all my girls so so well. I will ALWAYS recommend this shop to any upcoming bride. Couldn't be any more satisfied. Thank you so much, MillyBridal for making this experience an amazing one. When I say these dresses are perfect, I mean they are PERFECT! We did the custom size and color and they are exactly what we were wanting! I can not say enough how good these dresses look in person! Between ordering and shipping they only took about 3 weeks! If I could leave a 10 star review I would! Absolutely in love! This shop is WONDERFUL. 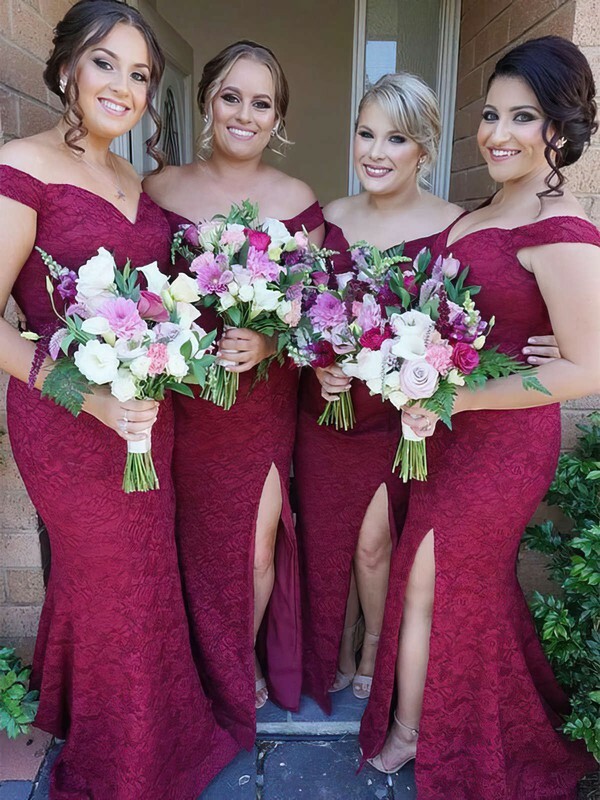 The people who run it are kind, considerate, and prompt communicators who were always willing to answer my many, many questions, and put any doubts I had regarding ordering bridesmaid dresses online to rest. Their service is impeccable and the quality of the dresses absolutely lovely, even better than I hoped! Most of the dresses fitted perfectly and they very helpfully provided an alteration guide for the two girls whose dresses needed taking out a little. Thank you so much!! I'm extremely happy with this dress. I had a very short amount of time from when I ordered it to my event, but they worked with me to get it done in time. It was made very quickly, but is very good quality and to my measurements. Their costumer service was wonderful, and they kept me updated on the progress of the dress. The colour is the same beautiful as pictured. I wore this very pretty dress to my nephew's wedding, I wore this that day and received many compliments. I am over the age of 40--and normally wouldn't want to expose so much, but this dress makes it worth it. Very elegant and beautiful on me. Super happy with my purchases! Everything was good quality and exactly like the picture. The color is rich and gorgeous, and I got size 12 in No. 16 color. Dress fits me well and looks charming. Was really worth the wait. The service and support staff were excellent too. Thanks MillyBridal! My dresses were delivered on time, in excellent condition and the website is very secure in case of fraud....So it's safe to give it a try and I enjoy my shopping. Because two of three dress were exact the size I sent and one a little loose. will check the site in the future. I was happy with my purchase. I couldn't be happier with how great the dress looks on me! Overall good service, prompt response from customer service and speedy shipping. The dress fits well but was in some pieces the thread came loose which was annoying.